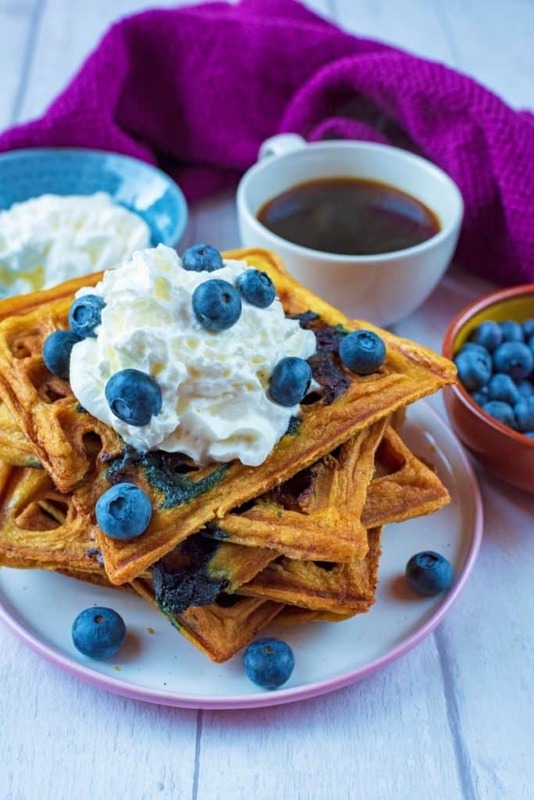 Why oh why have I not had waffles in ages These blueberry ones look incredible. 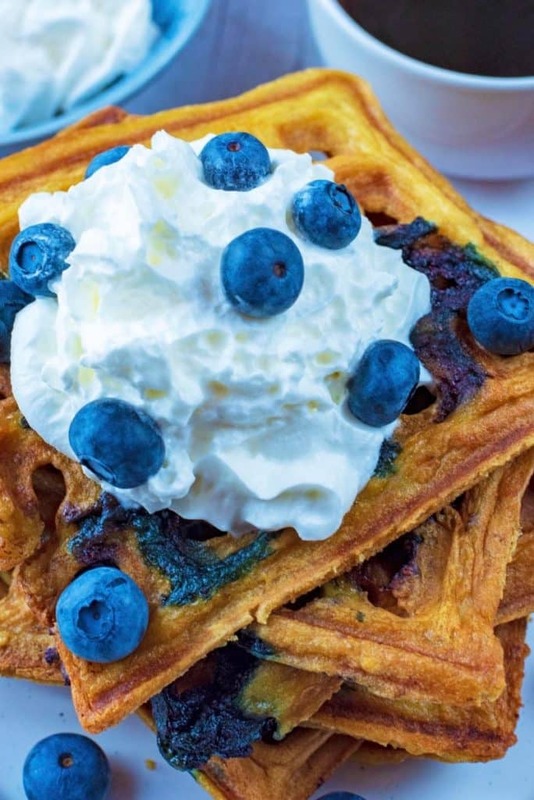 These Blue Berries look so perfect with this waffle and surely the kids to enjoy them. This could make my breakfast a festive one too. 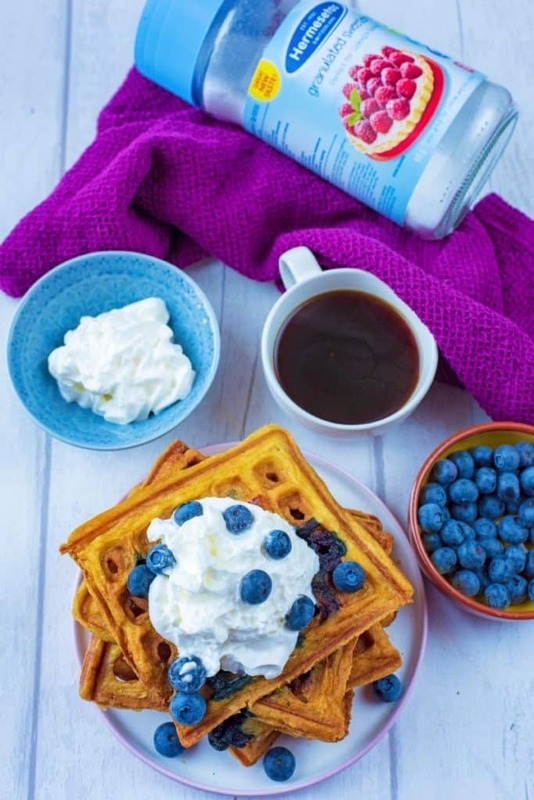 I do love sugar free waffles and these look absolutely yummy. 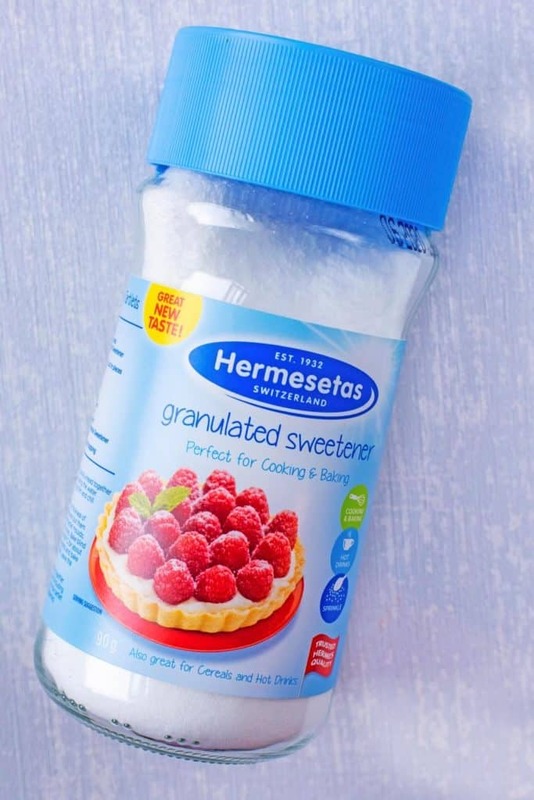 I have never tried using sweeteners in my baking before. 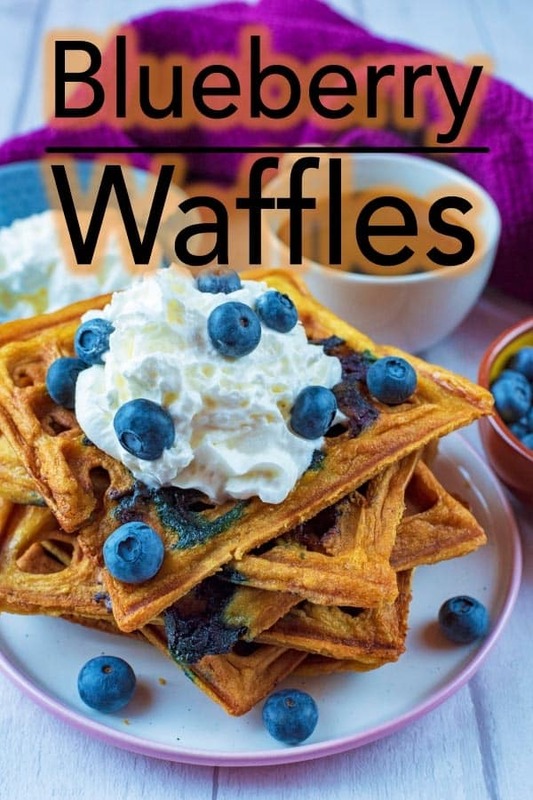 I love making my own waffles and these look delicious! A perfect weekend brunch for sure! Oh wow!! 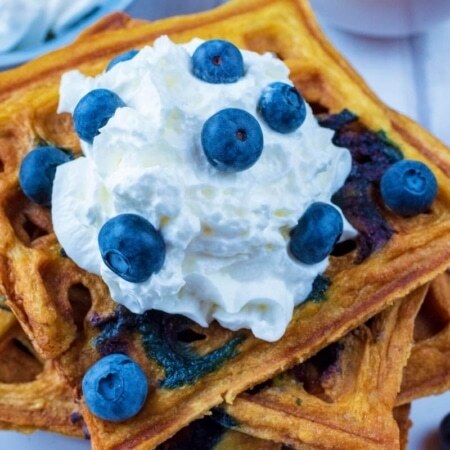 I love the look of these blueberry waffles. The lower calories of the sweetener really appeals to me as a way to reduce sugar in my diet. The combination blueberries and cream is best level in my mind!! These waffles look so incredibly yummy!! I love stuffing my waffles and pancakes with berries, makes them so much yummier! 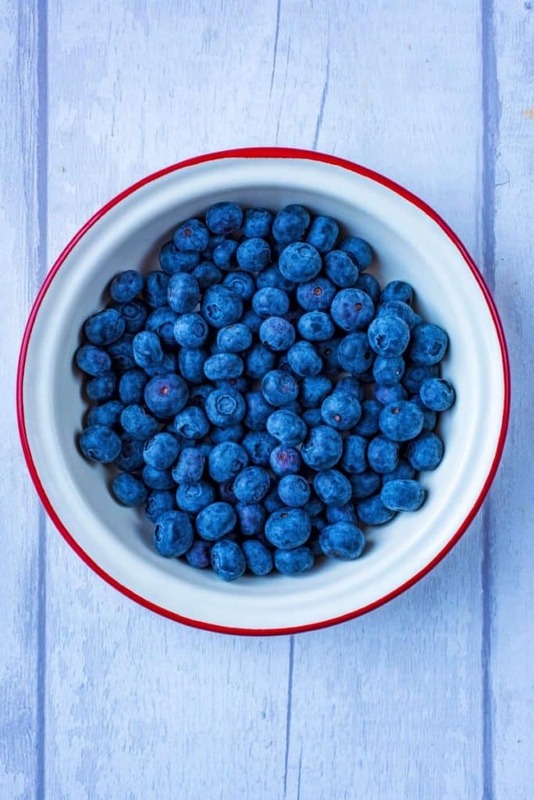 Such a great idea to put blueberries in them! I know my kids are going to eat these up! I love that these are a lower sugar waffle. My kids love sweet breakfasts, but I would rather they didn’t have them. So this is a good alternative. Thanks! I love the sounds of these waffles. I need to try them on the kids as they love blueberries. These waffles sound delicious. I need to try them on the kids!!!! I love that these are freezer-friendly, mornings can be so hectic and it would be nice to grab something other than a granola bar or drive-through bagel..
What a tasty breakfast option! I love waffles but always find myself having the same old breakfast. OK, these look absolutely amazing. It has been ages since I had any sort of waffle and these sound like some of the best! Such a delicious way to start the day! Love that I can prep these on the weekend and use throughout the week. Such a great tip to making mornings easier. We have pancakes or waffles just about every weekend too! Mostly pancakes but I know my family would love these waffles. I think you may have reawoken the waffle desire in me . I love blueberries in everything! When I lived alone inevitably I’d have to freeze leftover waffles, I put mine straight from the freezer into the toaster. these sound just incredible! i haven’t made waffles for breakfast in such a long time, but this has me motivated to try them soon!